Life is like riding a bicycle. 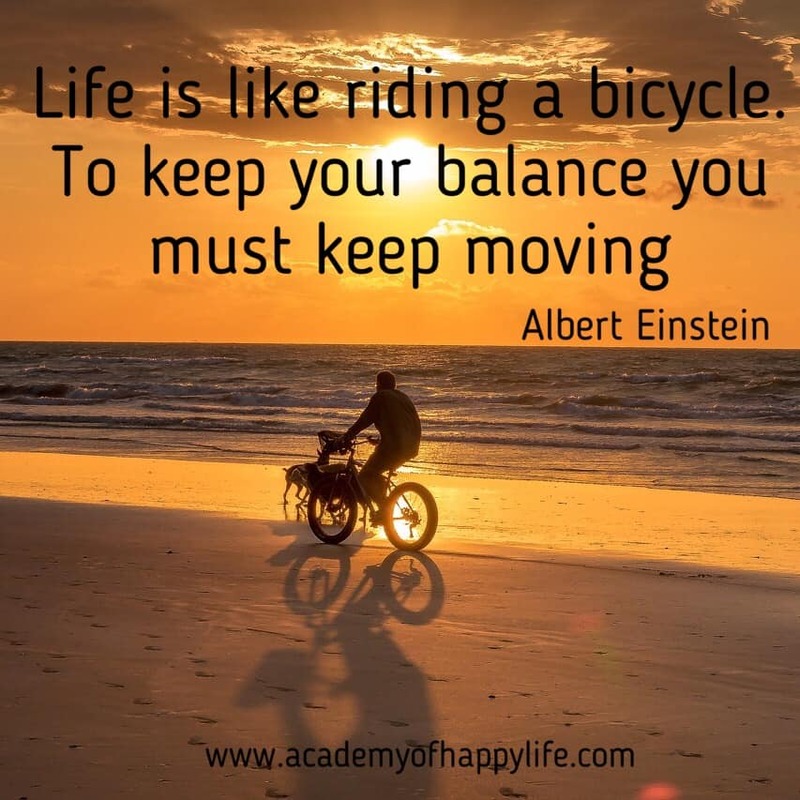 To keep your balance you must keep moving! Move forward! Move towards your dreams! Achieve your dreams! On your road, there will be some ups and downs! Just keep moving, this is life! Be happy! Enjoy your life! ← If you choose to be in a relationship, be honest and be loyal. If you can’t do those simple things, be single!